Home Behind Enemy Lines Prison Stories Hugo Pinell: Is 42 years in isolation about to end? UPDATE: Yogi’s [Hugo Pinell’s] board hearing has been postponed another year due to CDCR’s new gang validation rules. Uncommon Law, the firm of Keith Wattley, is handling Yogi’s case and they think they can get some relief for him under the new rules. So let’s do everything we can to support Yogi and help him to stay strong in that hell hole for another year. It would be a good thing for those with resources to check with attorney Wattley at (510) 271-0310 or kwattley@theuncommonlaw.com to see if Yogi needs financial assistance in covering legal fees. In November 2008, voters passed Proposition 9, under which people serving indeterminate life sentences could be denied parole and another hearing for three to 15 years, instead of the established one to five years. Prop 9 argued that people convicted of serious crimes were being released from prison too frequently. This simply is not the case. About 30,000 people were serving life sentences, and about 4,000 applied each year to appear before a two-member panel for a parole recommendation. Less than one percent received release dates in a given year. In 2006, for example, only 23 lifers were granted parole, less than 0.5 percent of those eligible for release. The California Parole Board held a hearing for Hugo Pinell (Yogi Bear) on Jan. 14, 2009, at which they denied him parole and scheduled him to return to the board in 15 years! However, since Prop 9 wasn’t in effect in 2009 when his hearing was scheduled and postponed, the decision had to be rescinded. A new hearing has been scheduled for May 2012, at which Yogi anticipates a 15-year hit. He would return to Board in 2027 at age 82! Hugo Pinell has been in Pelican Bay SHU – no windows or natural light, very restricted possessions, no phone calls, 24/7 lockup unless permitted to exercise alone for an hour in an outdoor enclosure, no-contact visits of less than an hour only on weekends or holidays. Pelican Bay is isolated in the Northwest corner of California, a very long trip by car. His mother, in her 80s with health problems, has continued to make that long trip to visit her son, now 67 years old. Can you even imagine not being able to hug your own son for over four decades? Yogi has been in solitary confinement for at least 42 years, first in San Quentin, Folsom and Corcoran and the last 22 in the Pelican Bay SHU. He was 19 when incarcerated in 1964; in prison 48 years altogether, he’s been in solitary confinement at least 42, despite 32 years of clean time – no write-ups. 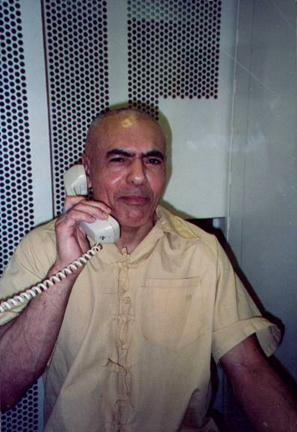 Yogi has been in solitary confinement for at least 42 years, first in San Quentin, Folsom and Corcoran and the last 22 in the Pelican Bay SHU. Yogi earned the enmity of the prison officials back in the 1960s when he was part of the “Black Movement” behind California prison walls led by George L. Jackson, W.L. Nolen and many other conscious, standup brothers who made it safe for Blacks to walk the yards of California’s extremely racist gulags. This set the prison officials on fire, and they’ve been exacting revenge ever since on Hugo Pinell, the only defendant in the San Quentin Six case still in prison. 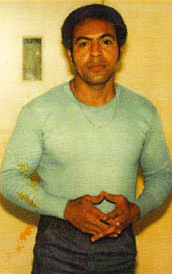 The only defendant convicted of murder in the case, Johnny Spain, was released in 1988. Clearly Yogi is a political prisoner, although the U.S. rarely if ever admits to holding any political prisoners. Our revolutionary hero is still strong of mind and body, has maintained his health with a strictly vegetarian diet and a grueling exercise program. His character and personality are evident in the following missive to Terry Collins. Please write letters to newspaper editors, to Gov. Jerry Brown, the Parole Board and anyone else who might influence the board to make a humane decision to stop this senseless ongoing torture of Hugo Pinell. Contact Gov. Brown c/o State Capitol, Suite 1173, Sacramento, CA 95814, phone (916) 445-2841, fax (916) 558-3160 or by email online at http://gov.ca.gov/m_contact.php. Contact the parole board at Board of Parole Hearings, P.O. Box 4036, Sacramento, CA 95812-4036. Best of love and health to you and family. It’s good to hear from you, always, even through the hard times, because we can share and be solid company. 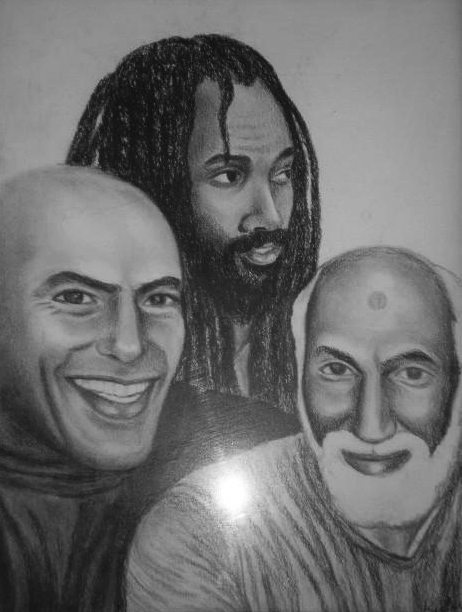 Thank you for the kind words and for recognizing the great work of a few brothers in here, from so long ago, who were really serious about liberation and the transformation of self. For me, it begins with the new W.L. in San Quentin in March in 1967, because I remember the old W.L. in Soledad, in 1963-64, when he was consistently messing up, as were most of us youngsters. Therefore, when the new W.L. greeted me in San Quentin, and he was handing me some literature and telling me about the Black Consciousness studies, the Self Reliant Principles of living, the Black Liberation Movement and the building of the New Man, he became my principal example because I noticed the positive and significant changes in him. He used Malcolm as our primary example of self-transformation and he felt that all of us brothers could make that same transformation, and not talking about religion because that should be a conscientious personal choice. Yes, there was the objective of converting the criminal mentality into a revolutionary mentality, but that was only one phase of the self-transformation process, and that’s why Brother Malcolm played a big role in our mode of transformation. San Quentin was the best station in the CDC for Black prisoners to get socially and politically educated because we had some righteous brothers in the liberation movement paving the way for us to learn, grow and really transform. San Quentin was the best station in the CDC for Black prisoners to get socially and politically educated because we had some righteous brothers in the liberation movement paving the way for us to learn, grow and really transform. We had Muslim brothers receiving all kind of Black literature and consciousness material along with their religious material, and they would share it with all brothers interested in learning and changing. Also, by 1967, there were several Black organizations in the U.S. including the Panther Party in Oakland, founded in 1966, and some brothers were receiving revolutionary and world history material from some of these organizations and would share it. All of that literature was part of consciousness studies, our self-reliant principles of living and self-transformation process. Most of us were very young, doing short sentences (supposedly), had been through the gladiator stations, Tracy and Soledad, and the time and place was right for self-change. We had the teachers, examples, the literature, the means and the opportunities, so it was up to us, how seriously devoted we would be toward real self-change. This was a “wake up,” “grow up,” “self-transform,” “liberate” call and it was a voluntary thing, but to join the liberation movement we had to understand the meaning of liberate and, to embark on a commitment to freedom, we had to do away with old ways, old habits, f—d up mentality, the club, homeboy set mentality and attitude. It was in the self-transformation process, according to our teachers. The New Man (a lifetime building) represents constant growth. History teaches us how terribly we were damaged and left to try and figure out and fit in a social structure in which we would remain confined, controlled, limited and surviving in the revolving doors. Therefore, our best way to become free again but for good this time was and is the Malcolm self-evolvement way. Take as much control as possible of our minds, our senses, our energies, our emotional and spiritual powers and gradually create new selves. If we would have been self-transforming for the last 60, 50 years, there would not be millions of new slaves today and we would have the power to be making an impact and difference toward the building of the New World. Millions of us would be feeling so personally free, so new and strong and proud and rewarding of the constant evolvement work we put in over the years. If we would have been self-transforming for the last 60, 50 years, there would not be millions of new slaves today and we would have the power to be making an impact and difference toward the building of the New World. This is what W.L. Nolen was emphasizing the most: self-transformation. We study, observe, we learn and use everything that’s positive, constructive, truly revolutionary and compassionate to begin transforming, building anew while constantly doing away with the old, like Malcolm kept growing. The wonderful thing is that we were in control of these constant self-changes and there is no time limit, but we have to keep at it even if sometimes we stagnate. Our new ways of living become our freedom road and goal. If we grow tired, upset, afraid, stagnant, we stay on that road and then keep on pushing and growing. I’m telling you how W.L. and the other great brothers were seeing things and realizing what we had to do to get out of prisons and become human builders and difference makers in the world. In the ‘50s, there weren’t many brothers in the CDC and they were getting victimized. Then, in the ‘60s, too many brothers were being sent to the CDC and the teachers felt we had to change, get out, become constructive and productive in society, while constantly transforming, and we wouldn’t have to occupy the cells in the CDC. Malcolm and Martin kept on pushing and evolving, in spite of the dangers and everything. You and Yuri and Kiilu, on the streets, have continued to push and grow. Even if you have stagnated, or get to feeling old, you keep on pushing and are serving the public, and being my good brother and friend. Thank you. There is so much I can share with you, but I wanted to give you a little passage of what was going on in San Quentin when I was transferred there from Soledad in March of 1967 and the great impact all that activity and new changes had on me, especially meeting some dynamic brothers and teachers, and my best example in W.L. I went through some bumps and stagnation before I started putting it all together and pushing on, but my foundation for change and struggle for freedom began in San Quentin in 1967. For more information, go to www.hugopinell.org. The isolation of HugoPinell in jail constitute cruel and unsual punishment . When is the prison sytem going to stop these barbaric methods of locking people up 24/7 with no outside contacts or liberties. These methods of torture are design to break and humiliate a person. Thereis is nothing in this form of treatment that rehabilitates anyone.What Huge Pinell is going through is hell on earth, if we treated animals like this in shelter the humane society for cruelty to animals will be up in arms,why are we allowing the dehumanization of Hugo Pinell to continue.We need to take action and petition gov.agencies and elected politiciamns . They should take a stand on these inhumane forms of torture employed in prisons in this country. Many inmnates lose their minds under these conditions, half the priosners on death row are clincally insane. thanks let’s do everything we can to support Yogi and help him to stay strong in that hell hole for another year. Released to general population on tuesday, killed on wednesday! They have prisoners on life support systems who are on death row, what sense does that makl? Plato said show me your jails and I will show you the decadence of society you live in. The sick obtuse practices of these jailers surely demonstrates the level of barbarism that exist in the prison industrial complex. The money making institutionswho solicit free labor from corporations,our modern day plantations and center of human decay. The crime is not their incarceration but what they did to their "victims and their families." I enjoy reading the SF Bayview because it paints the criminals as victims yet does not focus on the true victims or their families. People , all people regardless of color, race, or creed need to hold themselves accountable for their actions not look to blame others. The people who run prisons must be the world's ultimate sadist, putting people in sardine cans and expecting them to upon release to become productive citizens is tantamount to shooting someone and asking them why they 're bleeding. The prison is designed to torture people,this is no form of rehabilition, why do yu think the residivism chart is off the meter. The system was designed to reinslave them. Who's going to hire you with a criminal back ground, you're no longer bondable in most cases. This is a cruel joke ,they know the chances of you making it are slim to nothing, 99% of parolees end up bakc in prison withthin a yearr. This is an orchestrated circus like game played on people destind to fail in society. Yes you'llbe back because the deck has been stacked . Wake up and smell reality. At what point does grace come into play? It has been 45 years of solitary confinement, how much more time do they want for him? He has been in prison almost 50 years, have mercy, is he not human enough to warrant grace? Please release him so that I might have the opportunity to treat him as a human being, after all he is my father and I need him in my life. Involved newsrooms are taking over the role of teacher in some cases to guide the students, a.k.a. locals with a passion for a topic that they want to blog about. nvolved newsrooms are taking over the role of teacher in some cases to guide the students, a.k.a. locals with a passion for a topic that they want to blog about. Well his 42 years of isolation is over. I am not sure why you would have expected the state parole board to ever parole someone convicted of murdering a guard. Without doing any research, I'm going to claim that no in America has ever been paroled after killing a correctional officer while they were incarcerated.